This page contains easter eggs for the disc Fight Club (2-Disc Edition) (DVD, Region 1). Disc 1: On the main menu highlight "Special", then press then arrow UP. You should have just highlighted a "smiley face". Press ENTER. You should now have the ability to view 2 credit sequences! Disc 2: On the main menu highlight "Advertising" and press ENTER. On this page go to the bottom of the screen, highlight the "happy face" and press ENTER. 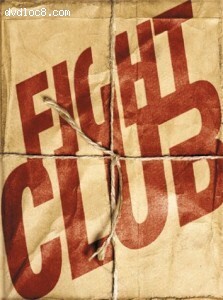 Welcome to the Fight Club Collection Catalog.